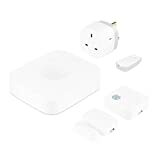 I recently purchased two Samsung SmartThings Motion Sensors as amazon had them for £19.99 each, I opened one and noticed straight away they were different from the previous model. 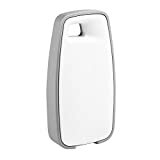 This third generation version has a model number of STS-IRM-251 now the more annoying is that they have changed the battery type again, yes that correct three versions of the ST Motion Sensors all use different batteries. Now the first generation doesn’t really effect people in the UK as they was never available, but changing from a CR2450 too a CR2477 is just annoying for people who have both generations. 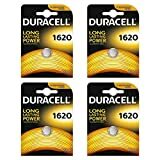 The cost difference is huge the CR2450’s I normally buy is a Duracell 4 pack that is £6.79 (Feb 2018) but a 4 pack Panasonic CR2477 is £15.90. Now the difference between the batteries is the CR2477 is bigger so it will last long in fact it has the highest capacity of lithium button cell batteries at 1000mAh which is 400 more than the CR2450 so that’s 40% more but paying 134% extra for around only 40% extra battery life isn’t great now there are cheaper alternatives but I like to stick to brands I have heard of and most of the time a bargain is too good to be true. I now use the following batteries for my smart home CR1620, CR2032, CR2450, CR2477 and CR123. The CR2450 battery is 24mm diameter and 5mm height. The 2477 is the same diameter but an extra 2.7mm in height if you’ve plenty of spare CR2450 batteries you might just be able to pack it with some paper. I noticed also that the battery contacts in the new version appear more robust that the small spring clips in the v2 models. 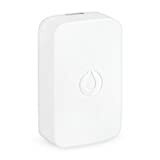 5 Pings/Trackbacks for "Samsung SmartThings Motion Sensor Gen 3"
Really lots of great information. Seriously tons of good material.